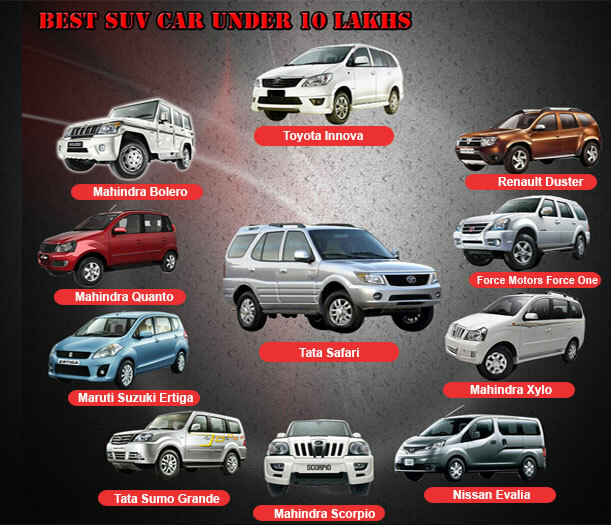 56+ User Votes help you to find the Highest Mileage Petrol Car in India. Mileage is an important part to think whenever one plans to buy a new car. As the prices of petrol are sky-rocketing, it has become very important for the people to invest in fuel-efficient cars only. 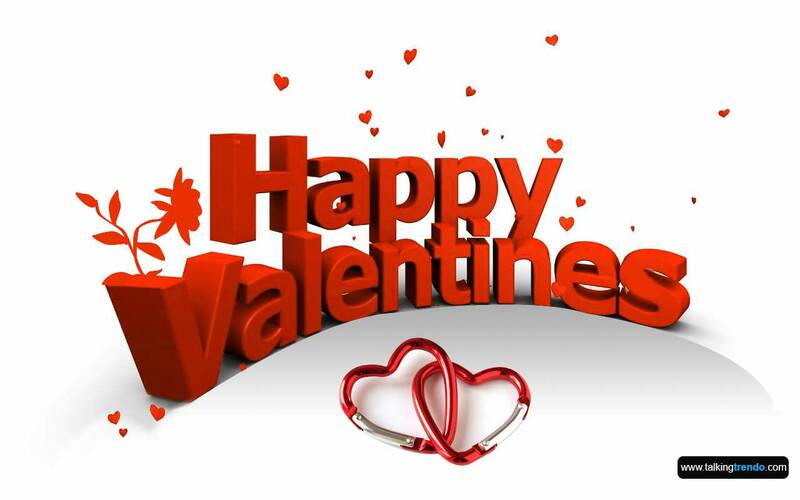 Which of these do you prefer the most? *Note: The Rank is based on readers voting. 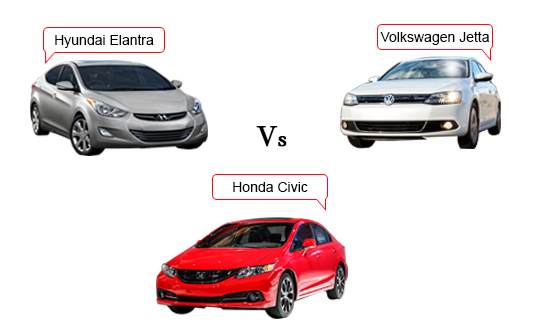 You can also vote for your favorite petrol car through the vote section. Renault Kwid – Renault Kwid proves to be a pretty good option in the small car segment. The Renault Kwid packs a 7-inch touchscreen infotainment system with navigation, a reverse parking camera, a digital speedometer, manual air con, power steering, a rear seat armrest, a 12V charger for rear passengers and a front wiper with intermittent speeds. The Renault Kwid comes with two petrol engine options: 0.8-litre (54PS/72Nm) and 1.0-litre (68PS/91Nm). While the 0.8-litre engine is mated to a 5-speed manual, the Renault Kwid 1.0-litre is available with either a 5-speed manual or 5-speed AMT. Maruti Suzuki Alto K10 – The Alto K10 flaunts smart exteriors with redefined eagle eyed headlamps, decent grille, body coloured bumpers, side mirrors and door handles. Maruti Suzuki Alto K10 come with air conditioning, front power windows, power steering, central locking and double-din audio system across its variants.Maruti Suzuki Alto K10 is powered by the 1.0-litre K-series motor, the Alto K10 puts out 68PS of max power and 90Nm of peak torque. The engine is mated to option of a 5-speed manual or a 5-speed automated manual transmission (AMT). The Maruti Suzuki Alto K10 is targeted towards enthusiastic individuals who are looking for a powerful hatchback in the small car segment. Hyundai Eon – Hyundai Eon is an entry-level and the most affordable car from Hyundai. Hyundai Eon come with the fluidic design and premium interiors. Hyundai Eon come with two engine option 0.8-litre and 1.0-litre engines. The 0.8-litre engine generate the outputs 55 Bhp of power and 75 Nm of torque. The 0.8-litre engine come with five-speed manual gearbox. The 1.0-litre engine generate the outputs 68 Bhp of power and 94 Nm of torque. These engines come mated to a 5-speed manual gearbox. 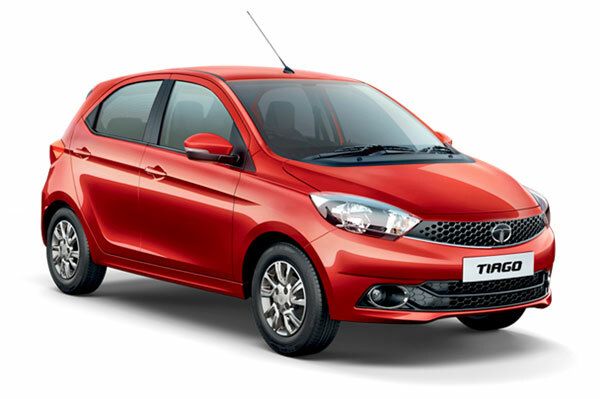 Tata Tiago – Tiago is Tata's recent offering in the entry level 1000 cc segment. 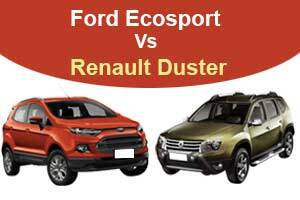 It is available in both Petrol and Diesel variants. The Tiago is available with two engine options. Tata Tiago is come with 1.2-litre petrol engine that generate 85 PS of power and 114 Nm of troque. The engine is mated to a 5-speed manual transmission. The Tiago is the only car in its class to offer multiple driving modes Eco and City. The Safety of the passengers has been given a prime place in Tiago as it comes loaded with dual front airbags, ABS with EBD, corner stability control and speed sensing auto door locks. Tata Tiago Price in India makes it a great value for money product. 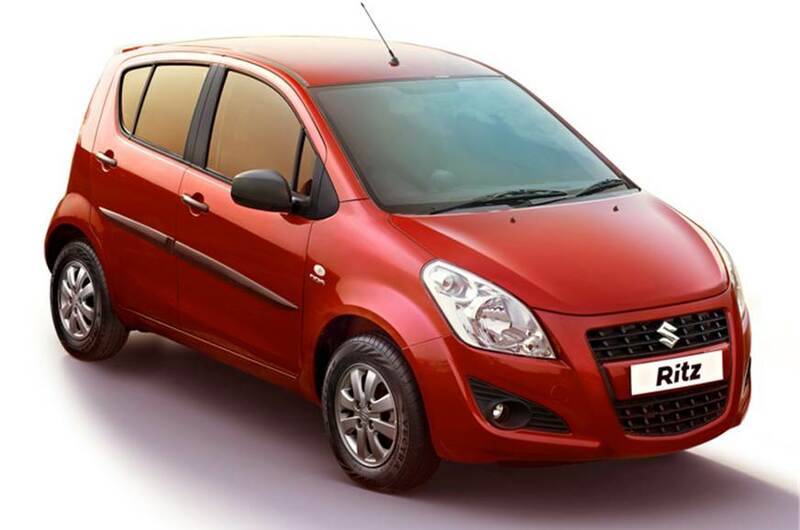 Maruti Suzuki Alto 800 – The Alto 800 is Maruti Suzuki’s entry-level offering in the Indian four-wheeler market. The Maruti Suzuki Alto 800 received a facelift in 2017 and now sports a revised front fascia with a slimmer front grille and headlamp, and a larger air intake. Its cabin gets fabric upholstery for the seats and door pads. You also get front power windows and a central locking system. ORVMs (outside rear view mirrors) and full wheel caps are also a part of the package. Maruti Suzuki Alto 800 is Powered by a 0.8-litre, 3-cylinder petrol engine, the Alto 800 puts out 48PS of maximum power and 69Nm of peak torque. The engineis mated to a 5-speed manual transmission. Datsun Go – Datsun Go is the entry level hatchbackcar from Datsun. Datsun Go come with features such as keyless entry system, electric power steering, front power windows, AC with heater, Bluetooth connectivity, rear parking sensor, radio and USB connection, optional driver airbag and mobile docking system. Datsun Go is powered by a 1.2-litre petrol engine, which produces maximum power of 68 PS and maximum torque of 104 Nm. The engine is matedto a 5-speed manual transmission. Maruti Suzuki Celerio – Maruti Suzuki Celerio is the hatchback car from Maruti Suzuki. The Celerio facelift gets a sporty mesh grille, a chrome lining on the bonnet, redesigned fog lamp housings, and restyled front and rear bumpers. The highlight inside the cabin includes the new dual-tone black-and-greige theme. Maruti Suzuki Celerio is powered by the same 1.0-litre, 3-cylinder engine that produces 68PS of power (59PS for CNG) and 90Nm of torque (78Nm for CNG). Transmission duties are handled either by a 5-speed manual or an auto gear shift (AGS), which is commonly known as an automated manual transmission (AMT). Honda Brio – Honda Brio is the entry level hatchback car from Honda. The Brio come with features like as electric power steering, manual AC, keyless entry, all four power windows, height-adjustable driver seat, electrically foldable and adjustable ORVMs, day/night IRVM, tilt-adjustable steering and a 2-DIN music system with Bluetooth, FM, MP3, AUX, USB and steering-mounted audio controls. The Brio is poweredby a 1.2-litre i-VTEC engine makes 88 PS of maximum power and 109 Nm of peak torque. The engine is mated to 5-speed manual and 5-speed automatic gearbox. Datsun Redi Go – Datsun Redi Go is the entry level hatchbackcar from Datsun. Datsun Redi Go come with Bluetooth-enabled audio system that offers hands-free calling and music streaming, central locking, manual AC, LED daytime running lights and more. The Datsun redi go comes with an option of two petrol engines a 0.8-litre, 54PS/72Nm engine and a 1.0-litre, 68PS/91Nm unit. Both the engines are available with a 5-speed manual transmission. The 1.0-litre engine, however, can be had with a 5-speed AMT as well. 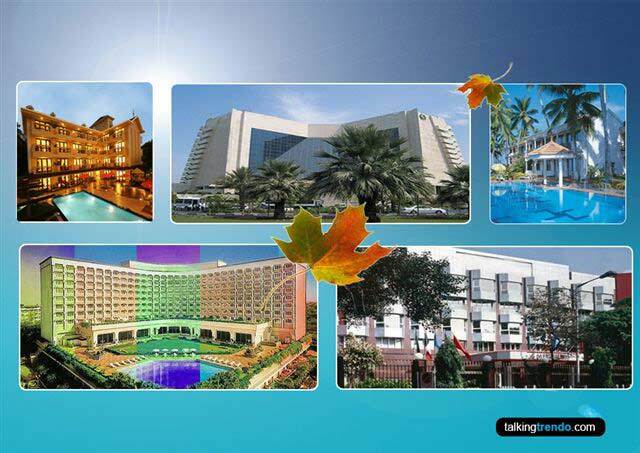 Tata Nano GenX – Tata Nano is the cheapest hatchback car from Tata. Tata Nano come with powerful AC, front wiper & washer, front fog lamps, dual glove boxes, central locking, booster assisted brakes, power steering (except the XE), remote keyless entry, foldable rear seats, front power windows and music system with bluetooth, CD, MP3, Aux-in connectivity. 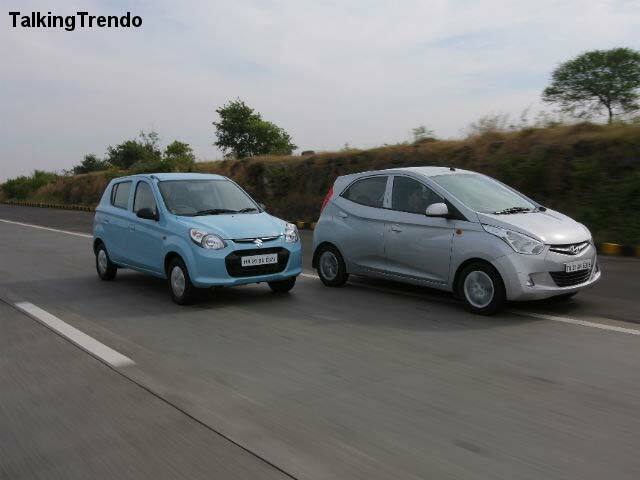 The Nano GenX powered by a 624cc, 2-cylinder engine, producing 37.5 Bhp of power and 51 Nm of torque. The engine come with 4-speed manual and 5-speed automatic gearbox. The Nano's best feature till date has been implied this time in the form of the new automatic gearbox, which has made it the cheapest automatic car in the world. 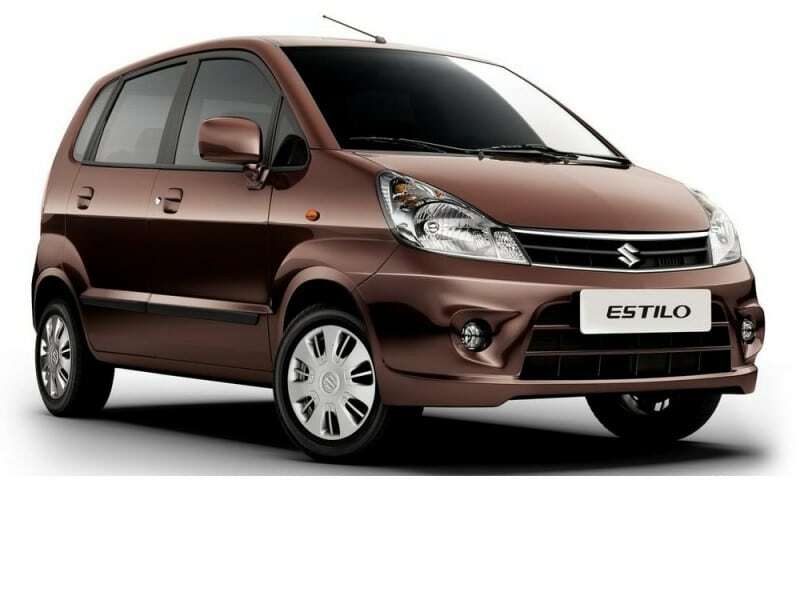 Maruti Suzuki Estilo (Discontinued) – Maruti Zen Estilo has actually been introduced so that the early successful Zen can be replaced. The Maruti Suzuki Estilo was a successor to Maruti’s popular Zen hatchback though it never really managed to set the sales chart on fire. Despite styling updates and a new 1.0-litre K10 engine, the Estilo met with limited success. The Estilo come with seat covers, rear parcel shelf, double-din MP3 player with USB plug-in, reading lamp, mats, mud flaps etc. Maruti Suzuki Ritz (Discontinued) – The Most hyped car by Maruti in india and positioned as premium by company. 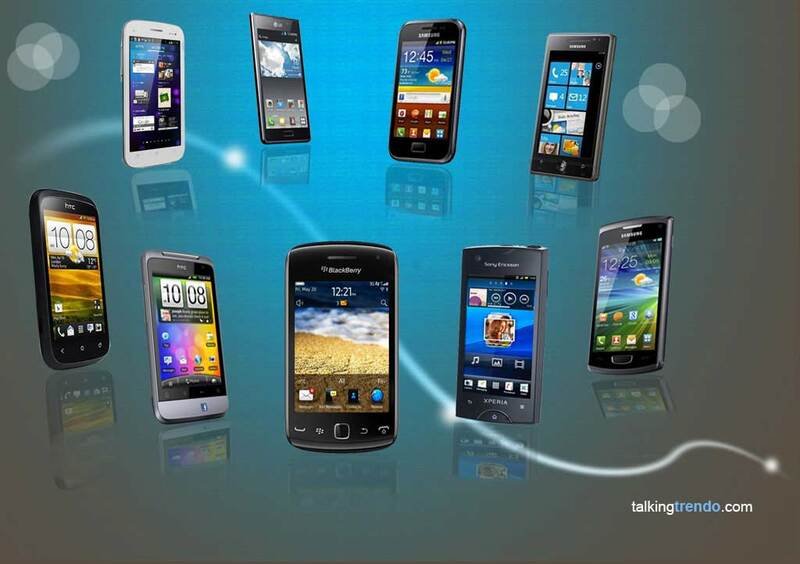 With its looks and style, it is a game changer and sales figure are enough to support the statement. Based on all together new design line but interior is more or less based on the swift line.Comes in 4 diesel variants and 2 airbags are provided for safety reasons. Can easily accommodate 5 passengers with boot space of 236 Ltr. And is able to deliver the Mileage of 23.2 Kmpl. Rest the sales figure are enough to check the success story of this product. 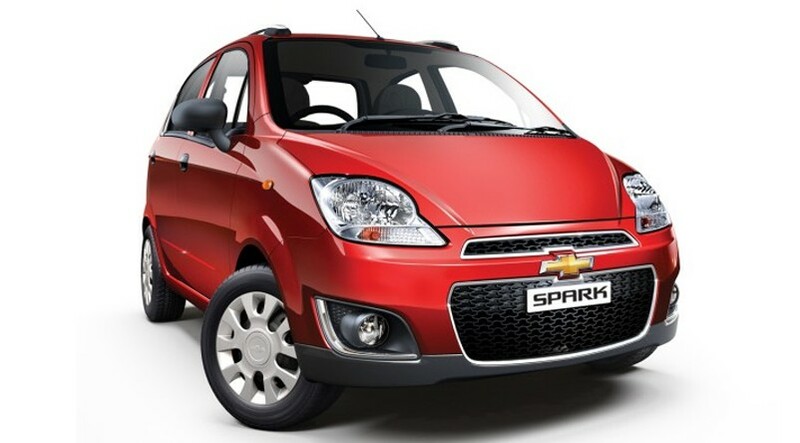 Chevrolet Spark (Discontinued) – Chevrolet Spark India’s entry-level small car from Chevrolet. Spark is among the safest, most comfortable and practical car in its class. The car, which got a mid-life makeover, combines expressive exterior design, a well-equipped interior and many smart features. The Chevrolet Spark is powered by a 1.0 litre, four cylinder, S-Tec petrol engine with a five speed manual gearbox which develops a decent power of 63 Bhp. 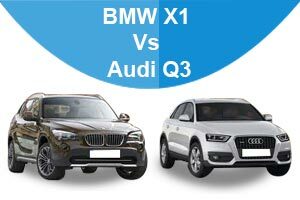 The 1.0 litre engine remains the same offering a good balance of city performance and efficiency. Chevrolet Beat (Discontinued) – Chevrolet Beat is an entry level hatchback car from the American company Chevrolet. The Best Diesel engine in hatchback segment with all style statements, comfort and complete package comes under the name of Chevrolet beat. The Funky exterior, uplifted front look with stretched headlamps, wide air-intake while the tail-light comes with LEDs which looks very impressive. An overall length of 3640 mm is wide enough to have 5 passengers with 170 Ltr of Boot space. While Funky interior has been used to give it a little bit of sports touch. Best performance with style in this price range and low maintenance and low running cost is secret behind this hatchback. All this lead to the award winning car in the market.